Ugh! 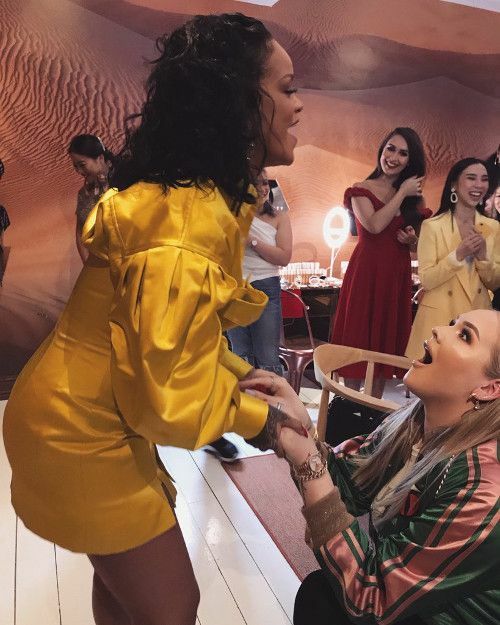 To be in the number partying it up with Rihanna. We'd die! 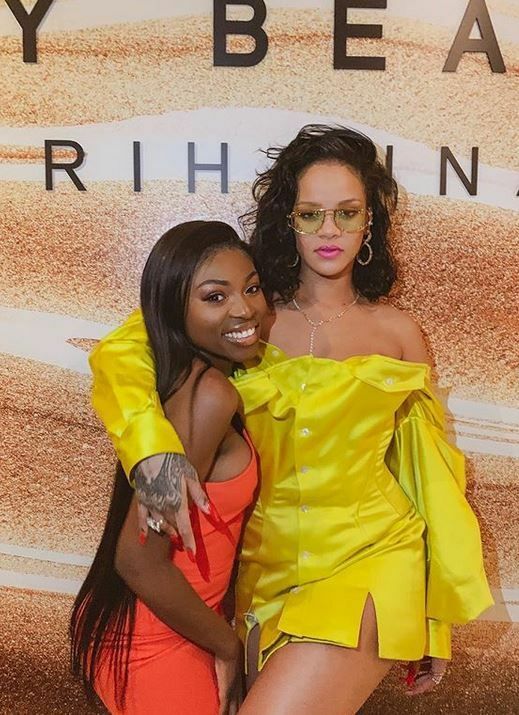 Well, a few lucky makeup influencers - including Jaci Aina, Patricia Bright and Alissa Ashley - did just that with the queen last night. 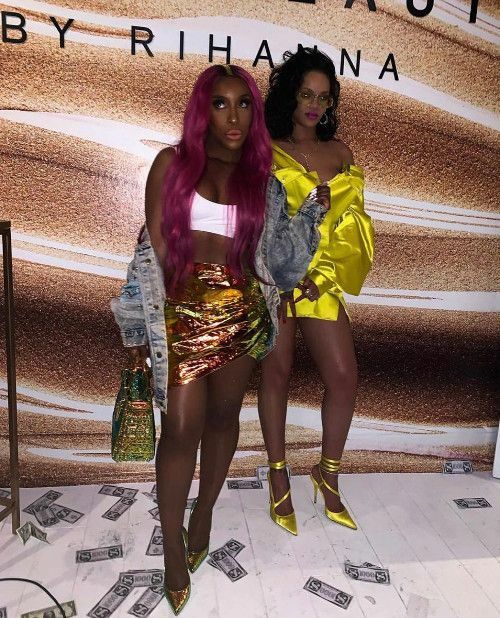 The Fenty Beauty mogul hosted a party in London to celebrate the launch of her new bronzer Sun Stalkr Instant Warmth Bronzer, which comes in 8 shades to fit us all. A generous, thoughtful queen we stan. The golden goddess had all eyes on her when she appeared in a canary yellow off-the-shoulder satin dress, satin yellow pumps and she carried a mini suede tote by Medea, a Milan-based label launched last year by two Italian sisters, Giulia and Camilla Venturini. We already KNOW those swag bags were litty. We're jelly.